At 200km north of the Artic Circle, Riksgränsen is Sweden's and indeed the world’s northern most ski resort. Advanced skiers will find plenty of challenges, like the black pistes; Uffes vägg & Rimfors, and the Nordalsfjäll Ski Area; a 20 minute hike from the top of the Riksgränsen Ski Area, where the Scandinavian Big Mountain Championships are held every year. Nordalsfjäll has terrain from quite easy to very steep slopes, and a vertical drop of about 300 meters. Riksgränsen ski season does not really get started until February when there are enough daylight hours and the climate is a little more temperate. By June, the conditions are great the sun can shine 24hrs a day and the ski-lifts reopen from 10pm to 1am, so for an unforgettable experience, you really can ski under the midnight sun. By midsummers's day, the end of the season, the sun will not have set for over a month. Riksgränsen’s main attraction is heliskiing; perhaps the cheapest and best in Western Europe. Riksgränsen’s mountains have up to 1000m vertical meters descent and are just a few minutes flying time from Riksgränsen, with nearby Kebnekaise offering nearly 1500 vertical meters. The heliskiing drop area is huge; over 100 peaks and 3,000 skiable miles, in an unpopulated area the size of Holland. The Scandinavian Big Mountain Championship has been held every year in Riksgränsen since 1992 and is the season finale for the European freeride season - ski and party under the midnight sun. Riksgränsen to Narvik; 50km (31 miles). Riksgränsen: 520 - 910m (1,710 - 2,990ft). 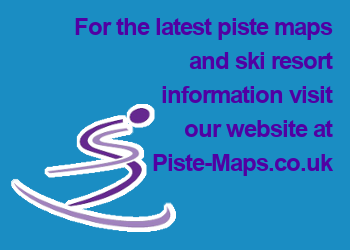 Pistes: 29: 4 Green Pistes, 4 Blue Pistes, 7 Red Pistes, 14 Black Pistes. Riksgränsen: Summer skiing; good value heliskiing, plenty of off-piste skiing. Riksgränsen: limited apès-ski; very few hotels.